We can provide a turnkey installation of any fire alarm system. We will install the conduit, wire, devices, AC Power, and headend equipment. We will work with the manufacturer of the Fire Alarm equipment to ensure design and functionality meet current codes and standards. We can also retrofit your building with new systems to bring it up to current codes and standards. You want to do your project right the first time. Regarding fire alarm systems, we can review your entire process to make sure that your fire alarm system is done right the first time. Pyrocom, Inc. began serving the Greater Las Vegas area since 1997. We have specialized in Fire Alarm and Smoke Control Systems. 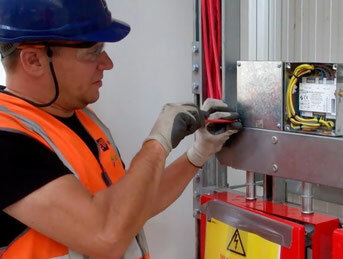 Our services have expanded to include all aspects of the electrical industry. We are dedicated to providing a quality, code compliant, reliable installation. We have enjoyed excellent working relationships with all AHJs in Southern Nevada over the last 18 years of working in this industry. We are dedicated to keeping up with the Building and Fire Codes. Our passion is to provide you with an outstanding project experience from start to finish. We look forward to working with you on you next project. 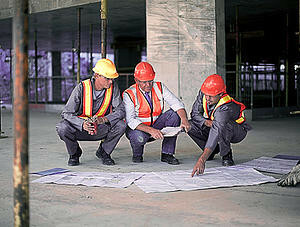 We are dedicated to providing a safe work environment and training employees to follow all OSHA standards of safety. Our certified OSHA 500 instructor keeps all employees up to date with OSHA 10 and 30 training courses. We also have a safety incentive program to encourage a proactive attitude towards safety both at work and at home. Over 30 years of experience. Fire alarm systems done right.